Becoming a citizen will be easier after the latest Canadian Citizenship change | Mercan Canada Employment Philippines. Inc. The Canadian Minister of Immigration, Ahmed Hussen, announced some good news yesterday in Ontario. New legislative changes to the Citizenship Act (adoption of Bill C-6) will make easier and faster for Permanent Residents to get the Canadian Citizenship. The Canadian Citizenship changes are related to physical presence in the country and required age to meet knowledge and language criteria. These changes will come into effect on 11th October 2017 and will benefit both younger and older eligible immigrants. And in other to use the most recent forms and guides, new applicants must wait until 11th October 2017 to start the application process. Also, the government announced that more changes to the Citizenship Act are expected to take effect later this year and in early 2018. One of the strongest pillars for successful integration into Canadian life is achieving Canadian citizenship and becoming part of the Canadian family”. The government encourages all immigrants to take the path towards citizenship and take advantage of everything that being a Canadian has to offer”. Before the changes, no days before becoming Permanent Resident counted for getting the Citizenship. Now, each day as a Temporary Resident or protected person can count as a half-day to meet the physical presence requirement for Citizenship. This is valid up to a maximum credit of 365 days and is valid for Work or Study status. 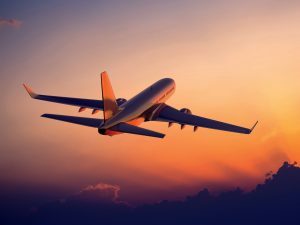 It means that if the person stayed in Canada for a whole year before becoming Permanent Resident, a half-year will count for physical presence requirement for Citizenship. That, for sure, can reduce the time spent in Canada before becoming eligible for Citizenship, making the whole process faster. Also, in the previous regulation, applicants had to stay in Canada for 1,460 days (four years) in a six-year period as Permanent Resident, before applying for Citizenship. Now, the government requires only 1,095 days (three years) over a five-year period before becoming eligible for Citizenship. In addition, Citizenship applicants will no longer need to be physically present in Canada for 183 days or more in four out of the six years preceding the application. 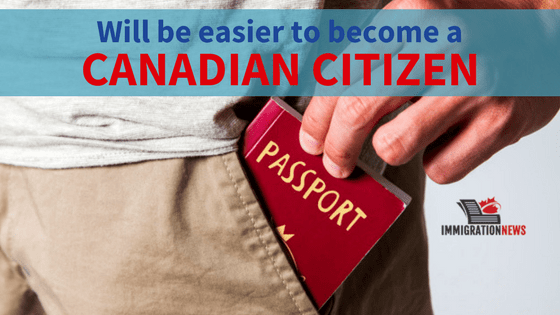 How Canadian Citizenship changes effective your life? Besides the opportunity to live in a high-standard country such as Canada, Canadian citizens have lots of benefits. Canadian citizens can apply for the Canadian passport and travel abroad with one of the most valuable passports worldwide. In addition, citizens don’t have to worry about leaving and re-entering Canada to keep the status as Permanent Residents have to do. Also, citizens can be actively part of a great democracy such as Canada, voting, and standing for a political career. Read more: In-demand job opportunities in Ontario; Saskatchewan and British Columbia. Mercan Group has the experience and expertise to guide you through your application process. From picking an immigration category to giving you all the preparation needed, Mercan will be there for you. Also, preparing you for an interview with the Immigration Office and following up with the Visa. We would be delighted to be your representative in an International Mobility Program (IMP), a Federal Self-Employed Program, a Provincial Nominee Program or any other working program you pick. And, later, help you on your Permanent Resident and Citizenship applications. So, in all of these cases, you can count on Mercan Group of Companies to help you. Contact us. 2-Check your email regularly. Wait for our professional immigration team to give a full assessment feedback. And how to proceed and what are the next steps.